It’s December 8th, my friends. Do you know where your Elf will go tonight? I don’t know about you but I have about 5 more fun and creative ideas up my sleeve before I run out and turn to bloggers and Pinterest for more Elf on the Shelf ideas. Our elves come on Thanksgiving night- so they’re here a little longer than others. Plus we have 2 of them, and they stay together. In hindsight…maybe we should have kept them separate. Too late now, but hey, the more the merrier, right? It’s all in good fun! This printable is at the request of Jody’s son, Lucas. He wanted a jail for the elves. Ask, little man, and you shall receive. 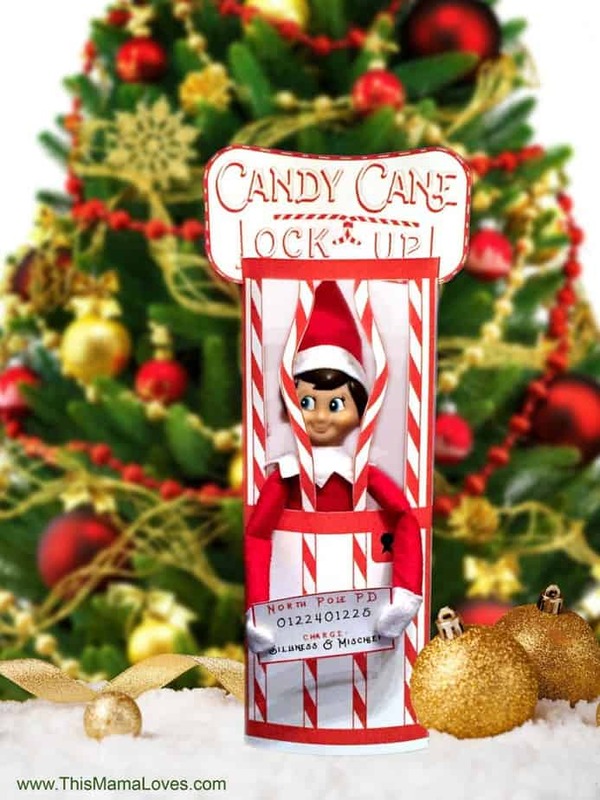 Here’s a Candy Cane Jail Elf on the Shelf printable for you, my little friend! Your Elf on the Shelf. Or whatever variety of elf you use this time of year! Print your template for the jail. You can download from the link above or you can click the image below. Print the jail cell, cut where indicated, assemble. Pop your favorite little Christmas elf in, and feel free to snap photos. I want to SEE them!! I don’t want to admit how many times I’ve gotten lost on Pinterest scrolling through Elf on the Shelf ideas. Can’t get enough of the crazy Elf on the Shelf ideas? Make some Elf on the Shelf cookies! Or print an Elf on the Shelf Massage Table and a Dunk Tank. There are endless ideas and so much fun to be had! Be sure to get some photos of your elf in our Silly Elf Photo Booth too! Thank you for sharing your creativity! My kiddos will get a huge kick out of this 🙂 Great work. I can’t seem to get to the printable? 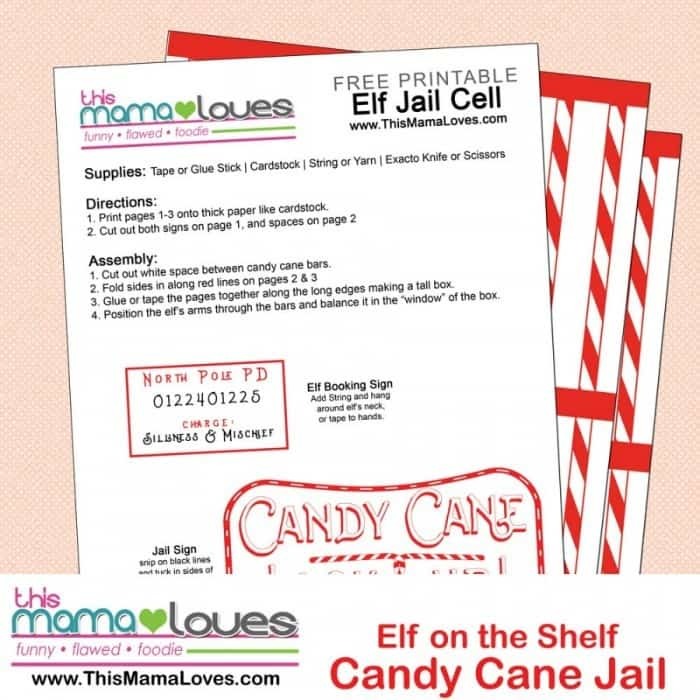 This would be great too since our Elf is late….YIKES!! Thank you SO much for sharing! I’m going to use this one tomorrow. My kiddos are going to crack up. I work for a PD, so it makes it that much funnier. Oh I hope they love it!! What a great idea! I will have to try this Elf on the Shelf Idea!